Debt in the euro zone has entered the "danger zone", the head of Germany's Bundesbank said on Friday, calling for banks' exposure to the debt of individual countries to be capped. "In the euro area we are already in the danger zone - at least with regard to public debt standing at 91pc and corporate debt at 105pc," Jens Weidmann said in the text of a speech to be delivered at a conference in Frankfurt. 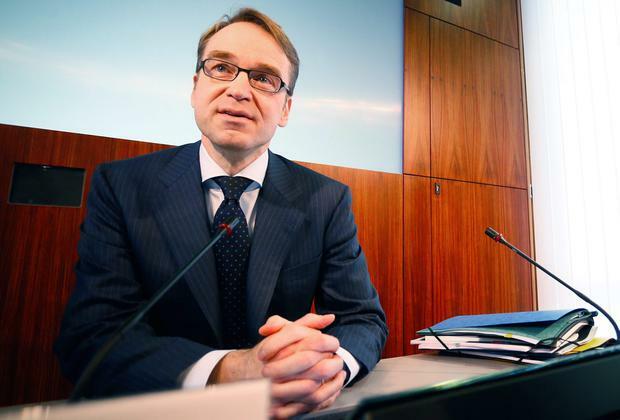 "Sovereign debt needs to be backed by capital, and exposure to a single sovereign must be capped, just as is the case for any private debtor," said Weidmann, who also sits on the European Central Bank's decision-making Governing Council.